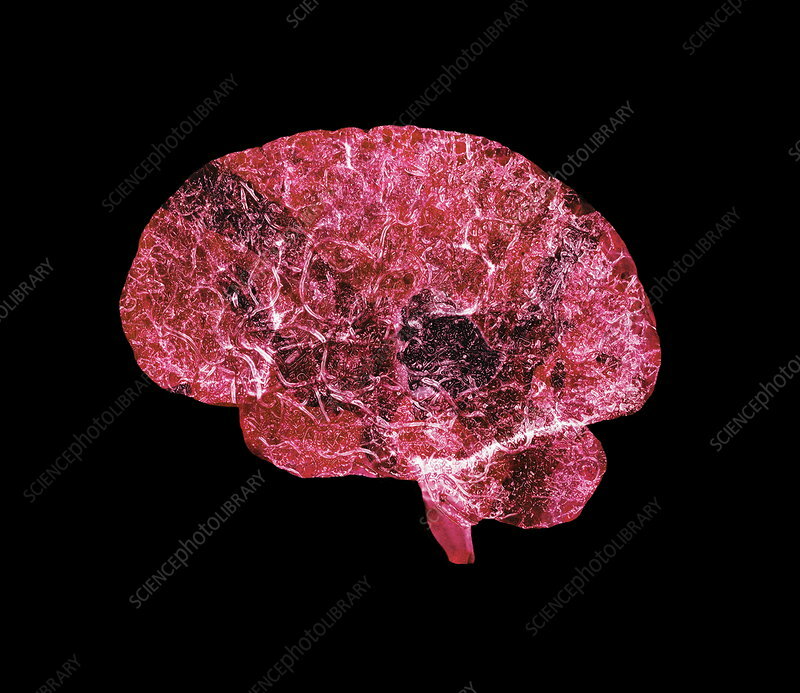 Aged brain, conceptual image. The front of the brain is on the left. The cerebrum (top left) is the largest and most developed part of the brain. It is responsible for intelligent thought, language, consicous movement and memory. The cerebellum (at the back of the cerebrum) co- ordinates muscles and balance, while the brainstem (left of the cerebellum) controls subconscious automatic functions, such as breathing. Over time, the brain's structure and function alters and the brain becomes more susceptible to damage and injury.